Bar Restaurant Heimspiel, Heinfels, Austria. Information, Photos and Reviews. 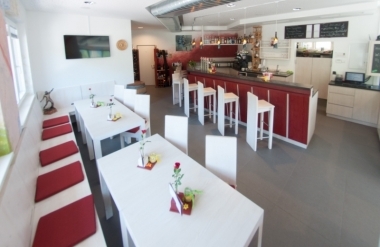 Located near the border to Italy, this lovely Bar and Restaurant offers everything you need to enjoy either a quick stopover on your bike tour, a fine dine 3 course menu with Austrian wines or simply a hot coffee with home-made cake. The 360 degrees sun terrace literally invites you to take a rest and appreciate the beauty of its surrounding nature, such as the Dolomites or small and clear mountain rivers. The owner family is happy to welcome you from 10 a.m. to 10 p.m. and the kitchen is opened from 12 p.m. to 2:30 p.m. and 6 p.m. to 8:30 p.m. 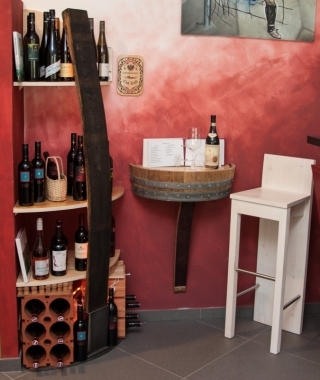 The menu is small but mighty: Next to Austrian classics such as Wiener Schnitzel or Spinach Dumplings we also serve prawns, asparagus or game - depending on the season. 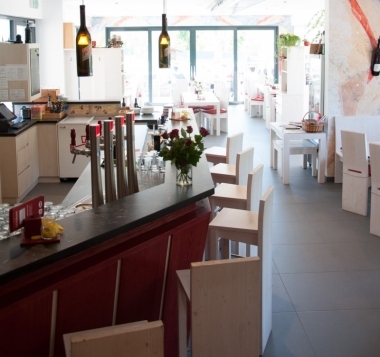 Nobody has reviewed Bar Restaurant Heimspiel yet, Be the first. You are submitting a booking enquiry. 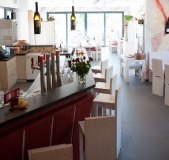 Bar Restaurant Heimspiel will then contact you by email with details of availability and prices.